During the Photokina 2016 event, Panasonic introduced slew of new cameras. 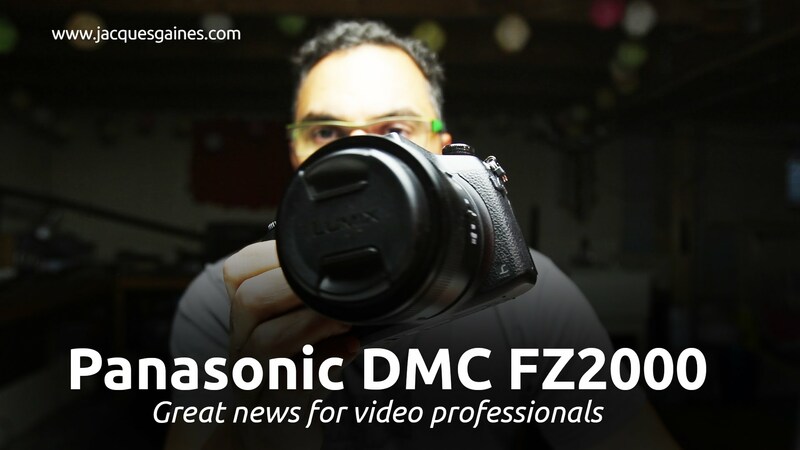 While most were undoubtedly anticipating the announcement of the GH5, I was most excited about an update to my FZ1000, the Panasonic Lumix DMC FZ2500. The FZ2500 was developed primarily for videographers. As such, it has many unique features that make it great for shooting video. In this article I review the FZ2500 top features, tech specs, and pros and cons. I also share my buyers advice. Pre-Order the FZ2500: $1197.99 at Amazon. Large 1 inch, 20.1MP sensor. F2.8-4.5 Aperature. 4K Ultra HD video capture. 20x super zoom lens (24-480mm). The FZ2500 pros and cons below are based on pre-release information as of October 2016. I will be updating this article as soon as I have spent adequate time to review the camera. For now, check out my assessment, based on publicly available information. 1 inch 20.1 MP, superzoom (20x 24mm – 480mm), F2.8-4.5 lens. Unlimited 4K video recording with slow motion and quick motion. 4K Photo Mode. “CINELIKE D” and “CINELIKE V” for cinema-like gradation. DCI 4K. Can change frame rate while recording. Ultra High Speed DFD Focusing. internal Focus Stacking modes. Post Focus Mode. Smooth and steady zooming while maintaining focus, smooth aperture. Dolly Zoom. Articulating touch screen. 0.74x Large OLED Live View Finder. You can use the view finder while using the touch screen to change the focus point. You can see the focus square in the view finder. Six customization buttons, 21 pages of mappable functions. Customization buttons on the lens barrel. Built-in ND Filter with multiple settings. Microphone, headphone, and HDMI ports. Live Output via HDMI. 4:2:2/8 bit or 4:2:2/10 bit output capable. SD Card slot is on the side! One of the best Wi-Fi implementations available. Optional V-Log L upgradability for purchase. Aperture not constant throughout the zoom range. Micro HDMI port instead of Standard HDMI port. As of this writing, Amazon lists the Panasonic LUMIX DMC-FZ2500 price at $1,197.99. That’s about $400 more than it’s predecessor. For the extra money over the FZ1000 you get higher-end 4K recording, a touchscreen LCD, headphone jack, side loading SD card slot, built-in ND filter, slightly more zoom with smooth adjusting auto focus + aperture and more. Site unseen, I think it’s a worthy upgrade. Panasonic currently lists the release date for the FZ2500 as “November”. Amazon’s product page, the release date is November 28th, 2016. Should You Buy the FZ2500? 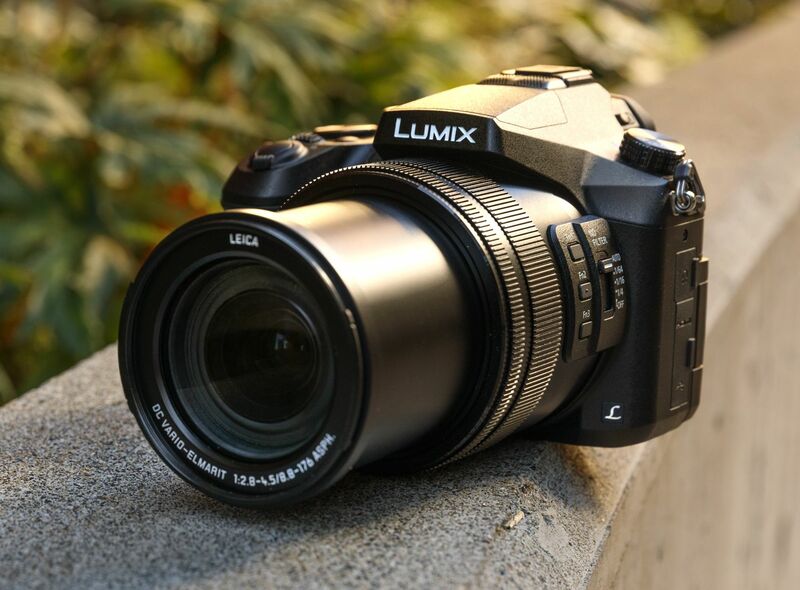 If you are looking for a camera primarily for photography, however, the Panasonic FZ2500 probably isn’t the best choice. I say this mainly because it has a fixed lens and I think most photographers should opt for a camera that has an interchangeable lens system. This way, you will be able to acquire the appropriate lens for a particular job. Panasonic FZ2500 vs Panasonic GH5? Without having the FZ2500 in hand, and without a close to final version of the GH5 to compare it to, the decision right now is squarely on whether you need a interchangeable lens system or not. If the answer is “yes”, and you don;’t mind paying more for it, wait for the GH5. Note that the GH5 will likely cost several hundred dollars more than the FZ2500. I have just pre-ordered the Panasonic FZ2500 on Amazon. As soon as I receive it, I will do an unboxing video, followed by a full review. If there is something you would like for me to test or demonstrate in the videos, please post your requests and questions in the comments section below.